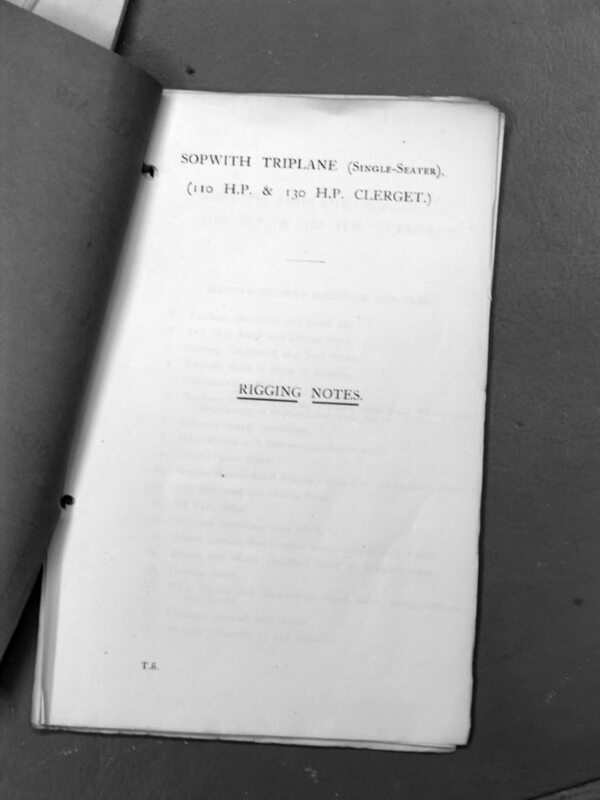 ​This is a pdf scanned from an original. If anyone has an original they wouldn't mind parting with, please let us know and get in tough via the contact form. 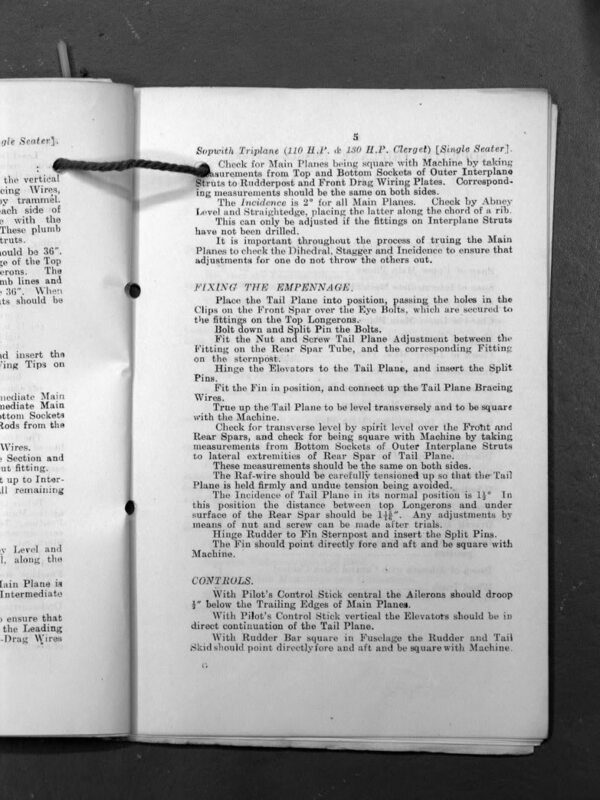 You can down load the pdf below. 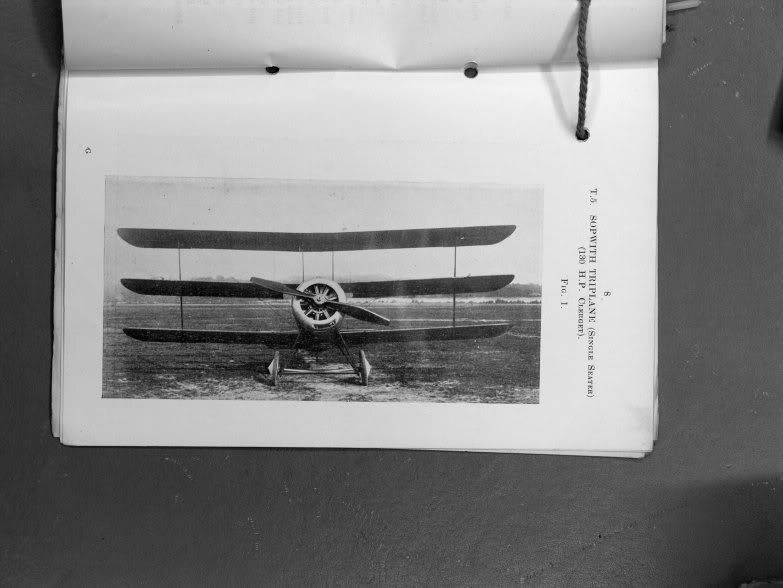 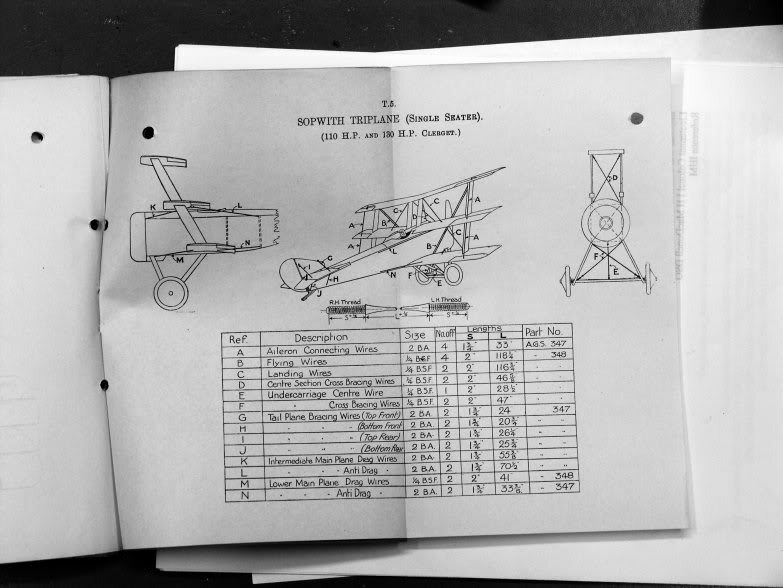 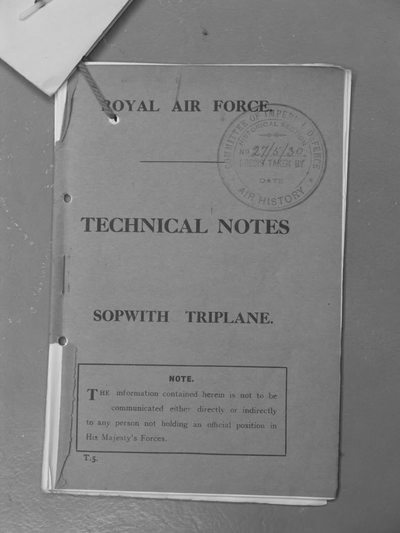 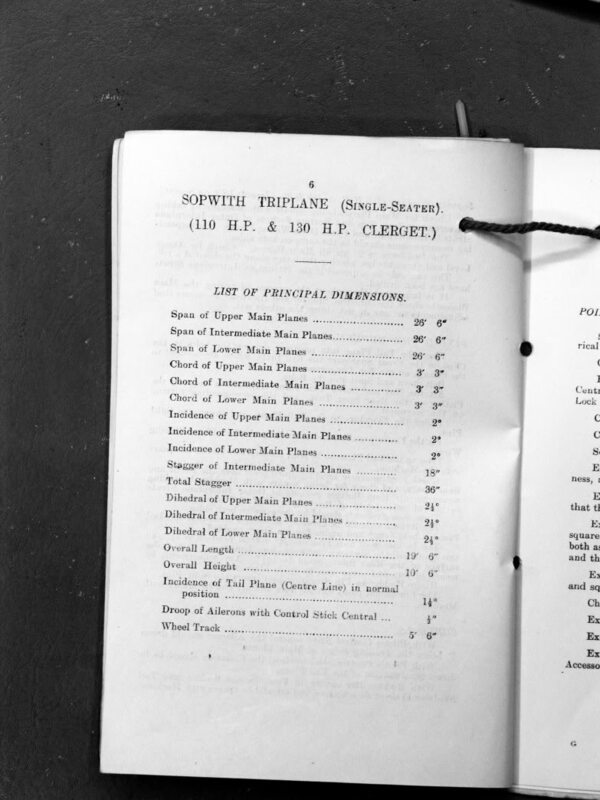 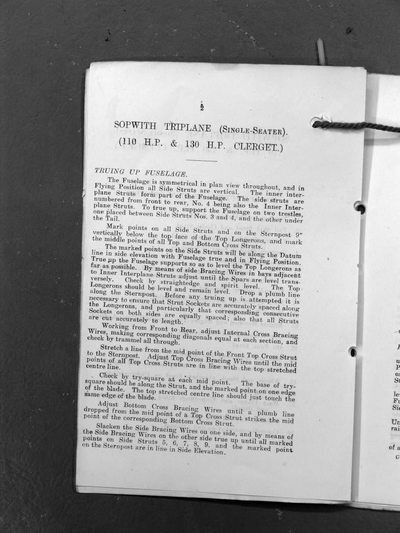 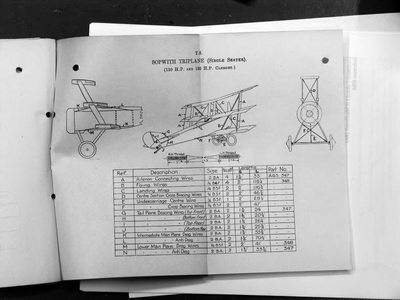 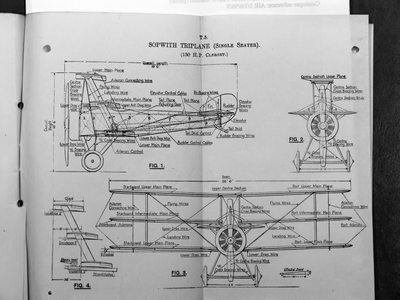 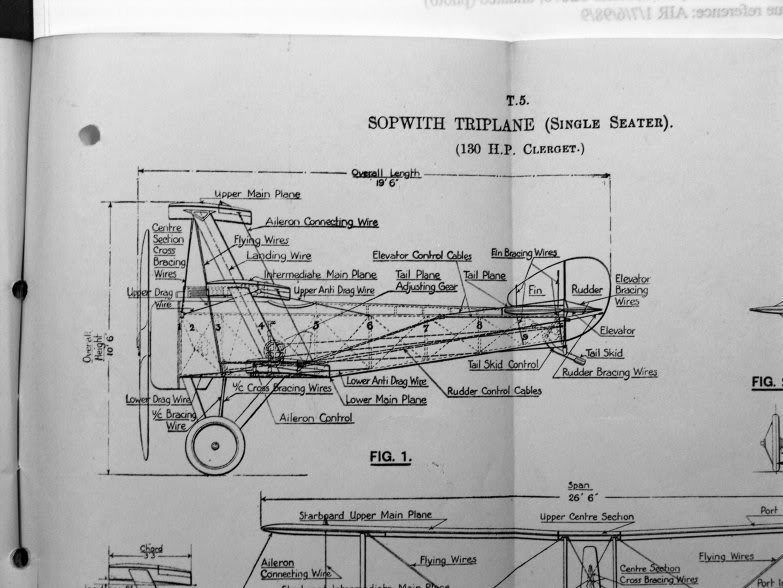 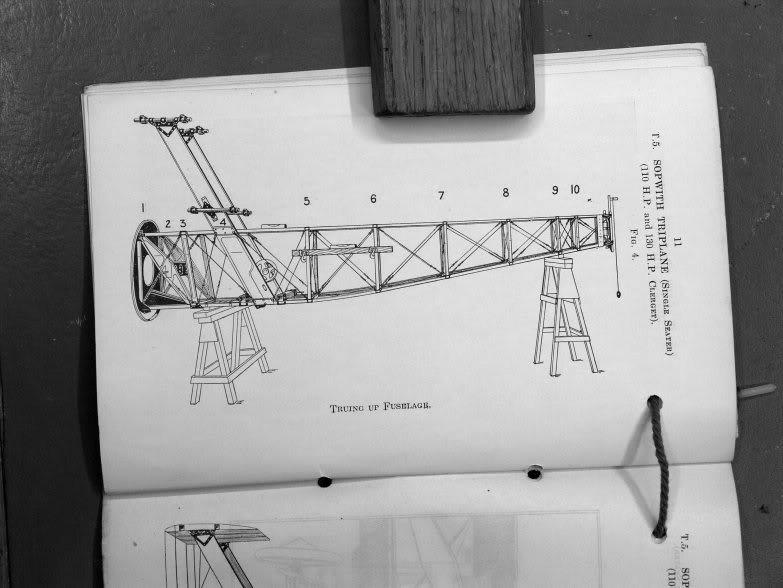 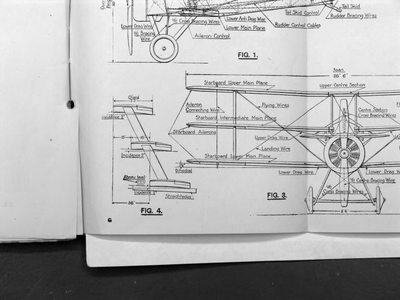 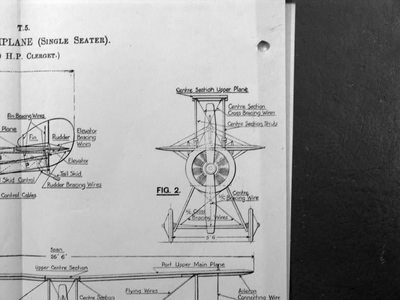 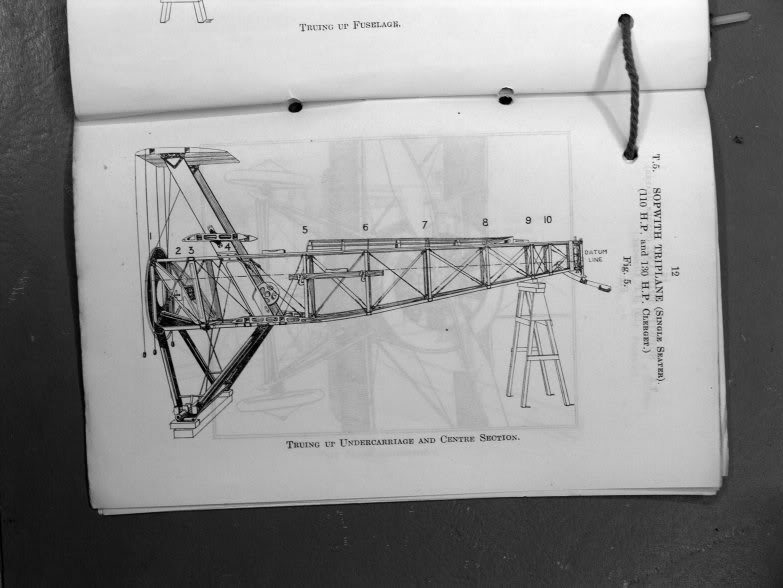 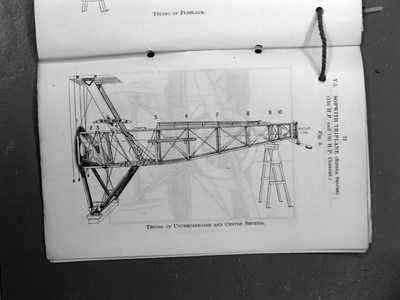 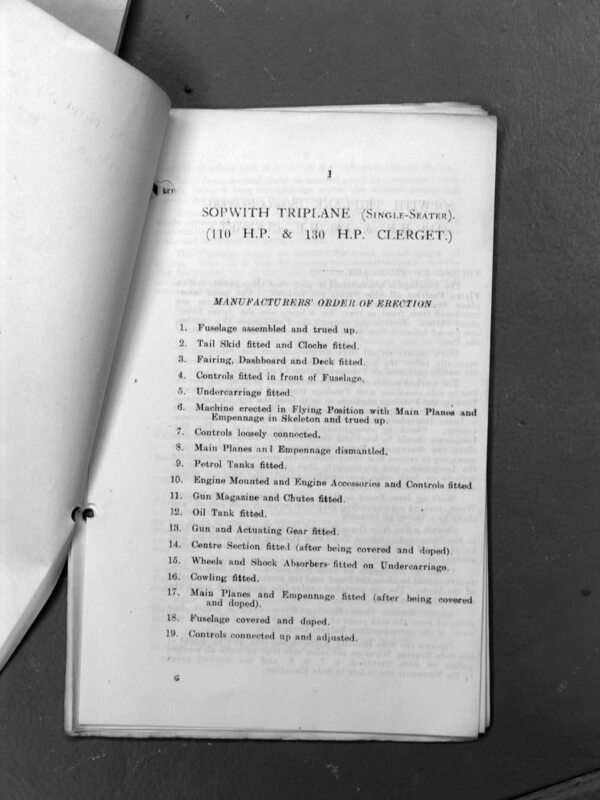 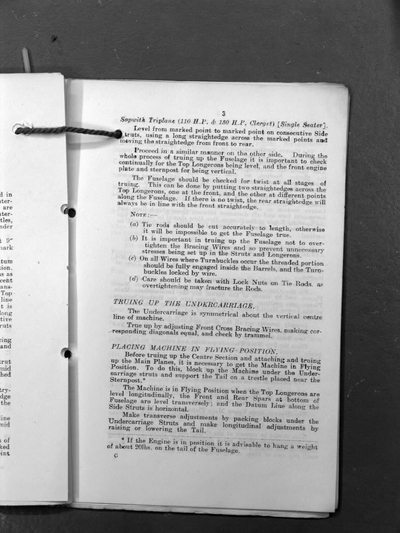 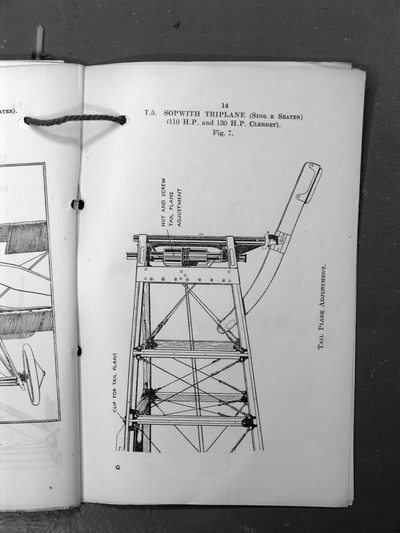 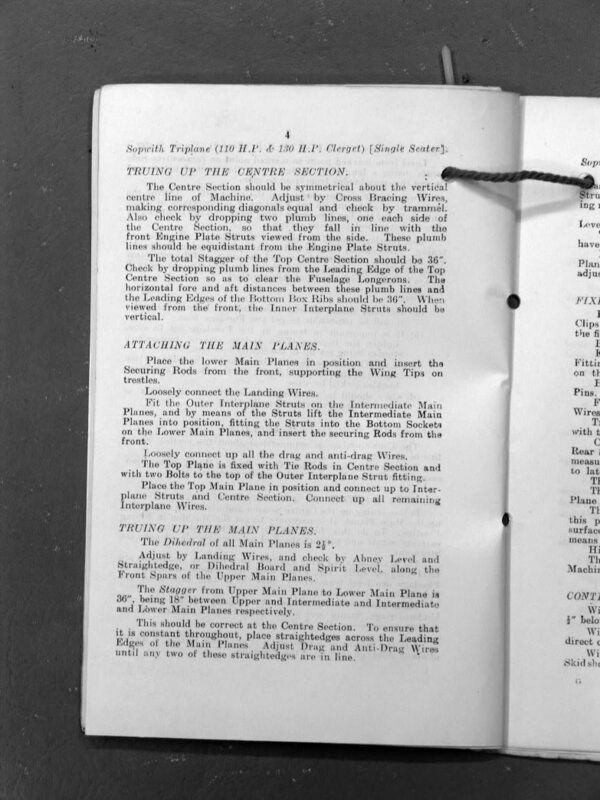 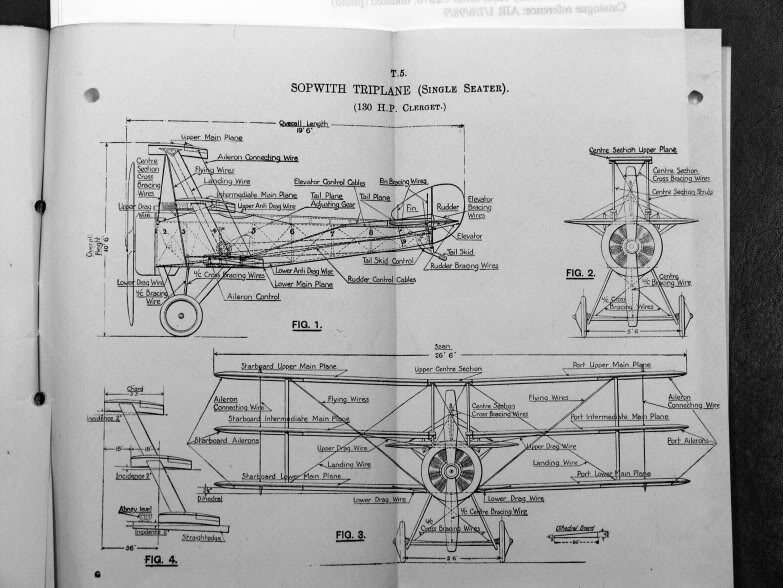 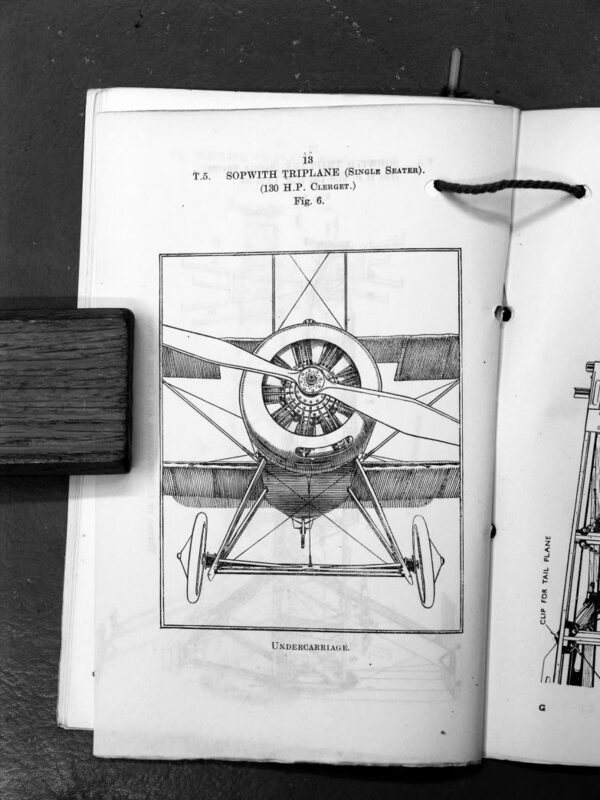 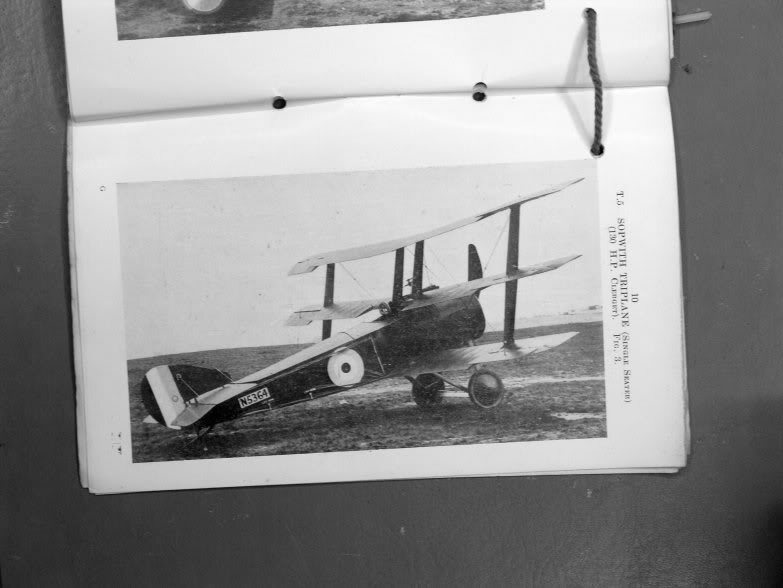 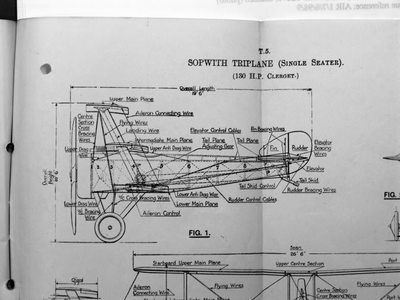 The picture on the right shows a spread from the Sopwith Triplane Technical Notes handbook. 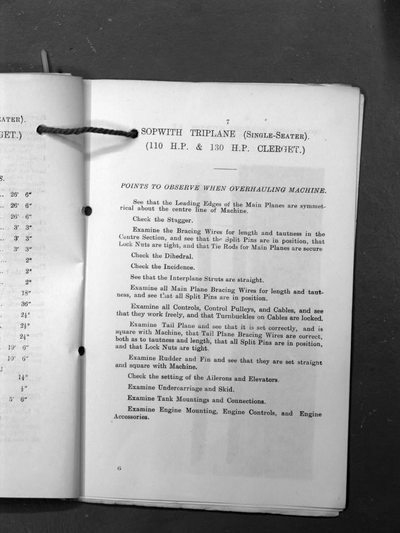 This handbook covers the 130HP LeClerget Engine. 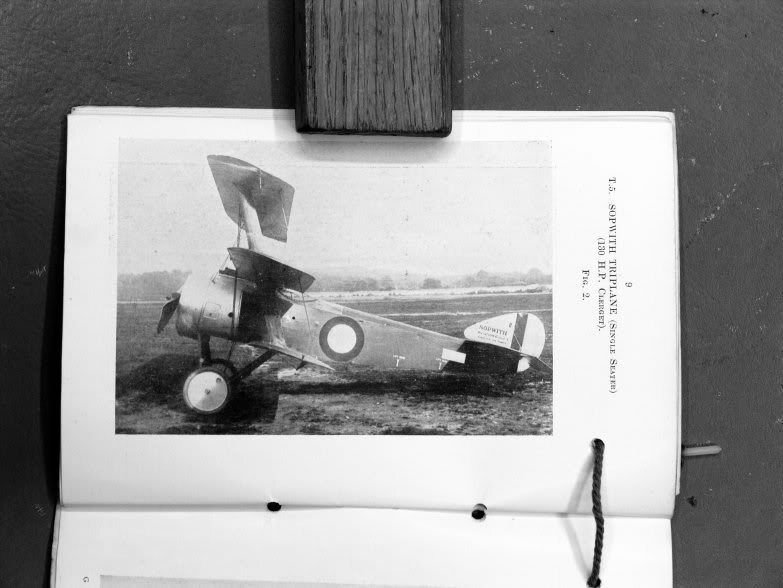 Click on any picture to see a larger one - With thanks to Mike Ayling for the contribution.